From earthquakes here in Oklahoma to predictions parts of the Persian Gulf will be unsustainable for human life in years to come, the negative impact of extracting and burning fossil fuels has never been more apparent. This makes logical sense, of course. The demise of our planet, and Oklahoma, in particular, is on a collision course with simple logic, mathematics and the greed of the oil and gas industry. The amount of carbon dioxide humans are now putting into the atmosphere and the method in which fossil fuels are produced for energy have put us all in imminent peril. The apologists and deniers have their greedy self interests and are morally bankrupt, but the rest of us are too lazy or clueless to take action. It’s a perfect storm of greed and stupidity, and it’s human nature at its worst. 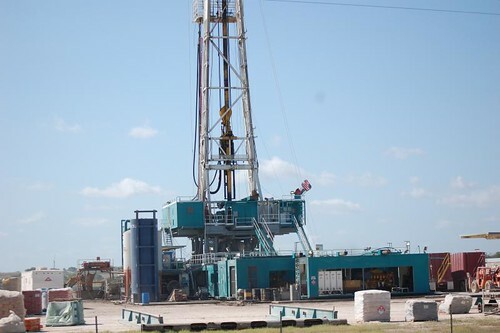 (1) Oklahoma is on track to experience more than 900 earthquakes at a 3.0-magnitude or higher this year because of fossil fuel production—natural gas and oil—related to the hydraulic fracturing, or fracking, process. Scientists have concluded wastewater disposal wells used in fracking are shaking the earth here in staggering levels, causing sustained damage to property. Oklahoma leads the contiguous United States in 3.0 earthquakes now and will continue to do so in the foreseeable future. When will the big quake hit and cause loss of lives and major property damage? It’s only a matter of time. (2) The year, according to scientists, will be the hottest year ever recorded in history. This is due to global warming and the acceleration of the greenhouse effect, which refracts heat back to the planet. The heat has been turned up because of massive amounts of carbon dioxide caused by the burning fossil fuels in vehicles and coal plants. (3) The ice sheets of Greenland, literally, are melting away, according to a recent article in The New York Times. What this means is rising sea levels that will displace huge amounts of human population and lead to mass chaos. The outlook is that is happening much faster than scientists have previously predicted. The official response here in Oklahoma is based on pedestrian self-interest about how important the energy sector is here on an economic level and just basic ignorance. It’s important to note that the state has a low college graduate rate and has cut education funding the most of any state in the nation in the last several years. This is the state that has produced the world’s most infamous global warming denier, U.S Sen. Jim Inhofe, and is home to The Oklahoman, one of the most conservative major metropolitan newspapers in the country. The newspaper supports Inhofe and ridicules anyone concerned about this issue. Oklahoma will go down in history as a world cesspool of ignorance and corporate greed as the planet is slowly but surely destroyed. Hyperbole? I see nothing here certainly and not much in the world that’s happening that makes me feel such a statement is over the top. Throughout the world, of course, more intelligent minds are grappling with the issue, some out of basic concern and duty to history and some out of necessity as they personally feel the physical impact of rising sea levels on coast communities. Imagine a world without a New York or Los Angeles, and what impact that would have on the world in terms of human migration. Imagine a world in which food and drinkable water is scarce as millions of people seek shelter and try to survive. Can science save us? Sure. But not at this magnitude if the disaster strikes quickly, and some scientists claim—those not under political pressure by conservatives—that it could come much sooner that previously predicted. If you’re under 30, or maybe even under 40, and reading this, you could even personally experience the chaos that will ensue if major coastal communities—let’s add Miami, New Orleans, San Francisco, to name a few more—are submerged and uninhabitable. The United Nations Climate Change Conference is scheduled to meet in Paris beginning Nov. 11, and maybe this time the mounting evidence will make an impact on the decision making by world leaders on this issue. I’m not hopeful. Human nature tells us it will take a catastrophic event for action to occur. By then, it will probably be too late. It’s a dismal, fatalistic outlook, but should we ignore the reality? What we do know will happen for sure is that The Oklahoman, along with Inhofe, will dismiss the conference as some left-wing diabolical scientific conspiracy. This tries to accomplish their two most important immoral initiatives: Ensure income inequality between rich oil and gas executives and the rest of us and keep a majority of the state’s students ignorant of the world around them. Where else can Inhofe get much of his campaign money if not from the oil and gas lobby? Who else will take The Oklahoman seriously except for the uneducated and uninformed.